The Early Bird Gets the Savings at Dreams Resorts & Spas! Happy #TravelTuesday to all of our guests & fans of Dreams® Resorts & Spas! While some of you might be dealing with chilly temperatures at home, we’re enjoying sunshine and blue skies at our resorts and we want to share that with you! Read on to learn about our Early Bird Savings at Dreams Resorts & Spas! The Best Things Come in Threes at Dreams Resorts! The best things in life come in threes, especially when it comes to savings at Dreams Resorts & Spas! 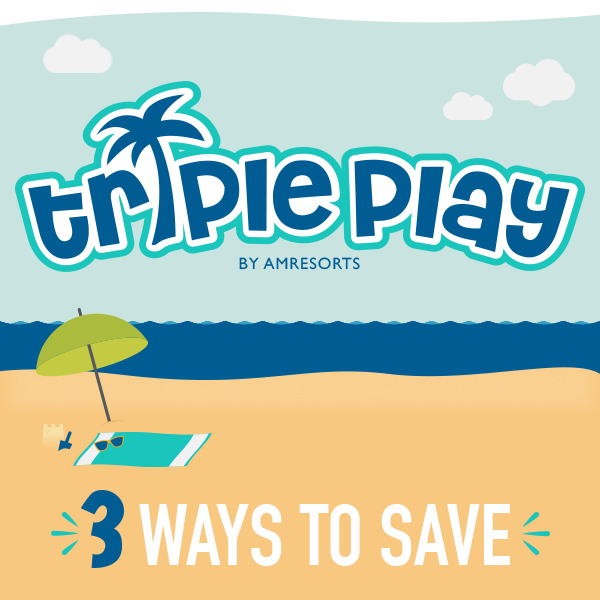 Now you can enjoy three ways to save with our Triple Play Savings. Book your stay today for savings of up to 50% off, up to two kids stay free and up to $400 in resort coupons to use on spa treatments, private romantic dining and more! If that wasn’t enough to convince you that now is the perfect time to plan your escape to paradise, here are three more reasons behind why you’ll absolutely love your stay at Dreams Resorts! Enjoy three ways to save with Triple Play at Dreams Resorts & Spas!